I'd go for the silver hands. Dial is black so black edges on hands will make them seem smaller and kind of lost. And I was gonna say red seconds but then I read about the bezel... and you're probably right. Go all silver - and don't forget to post the pics when it's all done. I like silver hands instead of black on black. I tried a silver second hand on this watch but it made it look bland, and so I went with red. DerangedGoose, Derek N, igorIV and 1 others like this. sideways2, mrwomble, elsoldemayo and 3 others like this. I agree with your logic. I did black on metallic. taimurkhan, DerangedGoose and igorIV like this. wow , amazing dial and mod.... can u share the source .? Question: I just won this no-date 710 for a good price on ebay (and will be waiting over a month to receive it, looks like). I am swapping for paddle hands, do you guys think I should go chrome or black? Red seconds or silver? This should hopefully give you an idea of how it would look with black hand. Same dial! Dr Seikostain Caseback, Caseback ring, Movement ring & Bezel. Rios Pilot......love this one! Just got the 670 cased no-date Scuba Dudes in both black and white. Let me be the first to say it-I don't like the 670 case! I TRIED to like it, I really did!! But even though the band is 20mm, it still seems too narrow and wimpy for the overall width of the case. So I modded the black one to start with. 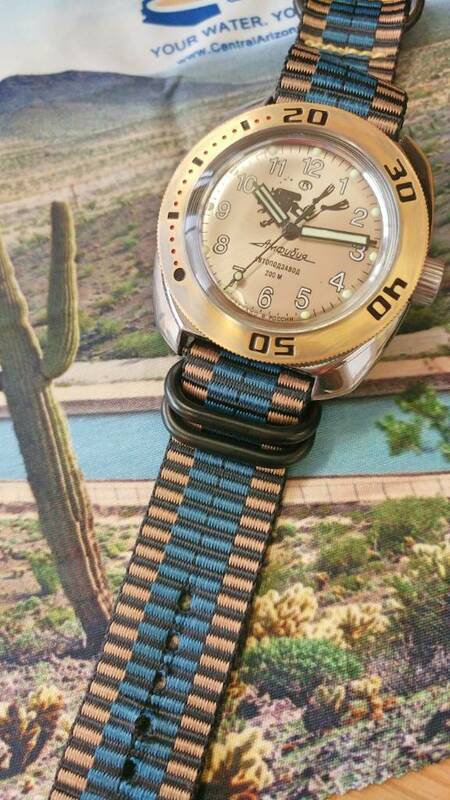 150 case with Dr Seikostain Atlas bezel and Omega Seamaster insert. Vintage ETA Ploprof hands. I'm going to get around to modding the white one after the weekend. I might try leaving it in the 670 case and putting it on a bund-type strap and see if I like it. If not, it's going in a 110 case! Lokifish, sideways2, mauzer67 and 4 others like this.